The Fargo DTC4250e is used for printing, encoding and laminating ID cards across a large organization; nothing integrates easier or is more secure than the DTC4250e Card Printer / Encoder. 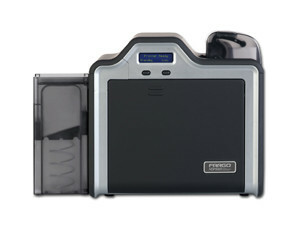 From plastic loyalty and photo ID cards to more sophisticated access cards with embedded electronics, HID Global’s professional-grade FARGO DTC4250e ID card printer and encoder is able to produce large quantities of extremely durable credentials both quickly and easily. 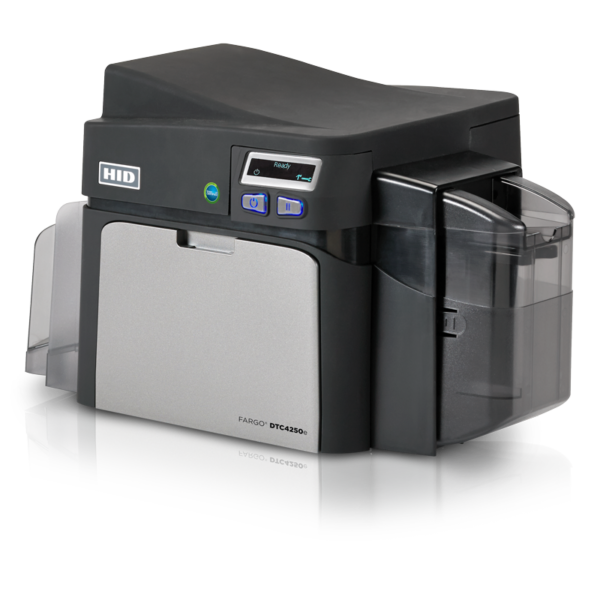 Ideal for small to mid-size businesses, schools, and local government agencies that require reliable printing, the Fargo DTC4250e ID card printer and encoder features a flexible and modular design that can be easily adapted whenever your organization grows or your printing needs change. The Fargo DTC4250e also features new security enhancements, such as the embedded iCLASS SE smart card encoder for encoding organizational or personnel data directly onto the card and AES-256 data decryption for protection of financial information. 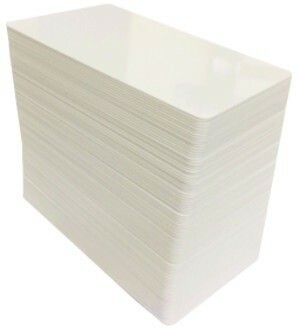 The DTC4250e can also be password protected so only approved operators can print and encode security cards and visitor badges. 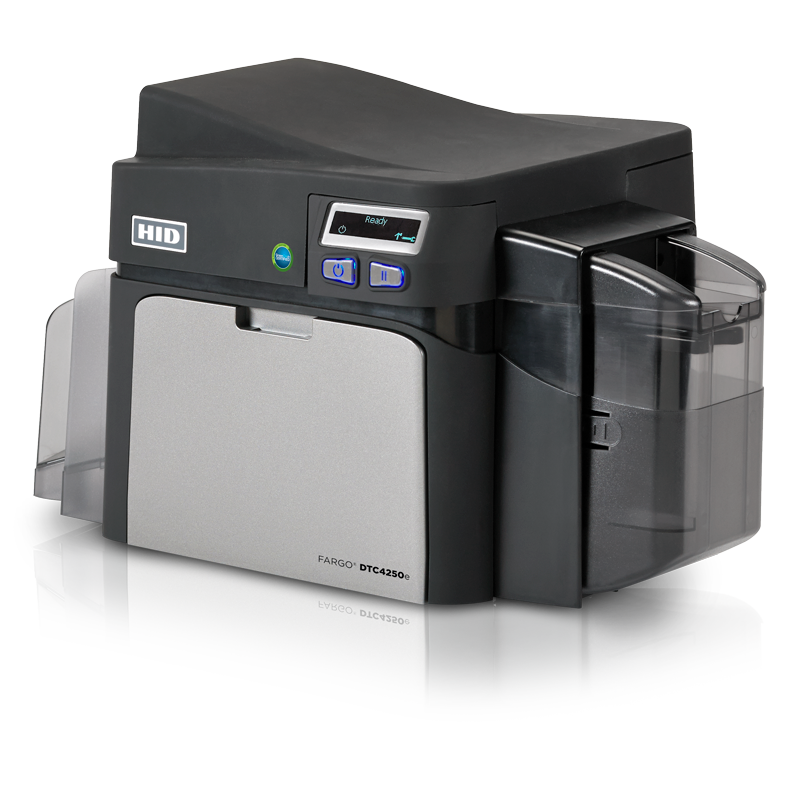 With its small footprint, an optional, same-side input/output hopper and an optional Wi-Fi® accessory that allows you to print anytime and anywhere, the Fargo DTC4250e consumes minimal space and offers maximum flexibility. 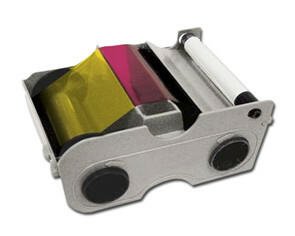 The card printer is also fully compatible with Asure ID® Card Personalization Software for creating custom credentials and Color Assist™ software that can help you match spot colors, ensuring accurate reproduction of such complex graphics as company logos or employee photos.